his year, Hope Clinic did things a little differently. Every year the nonprofit seeks to raise funds, via grants and charity donations, to provide the underserved residents of Pamlico County with quality medical care. Combining the Hope Ball with the Regatta helped make this past weekend the largest charity event in Hope Clinic’s history. 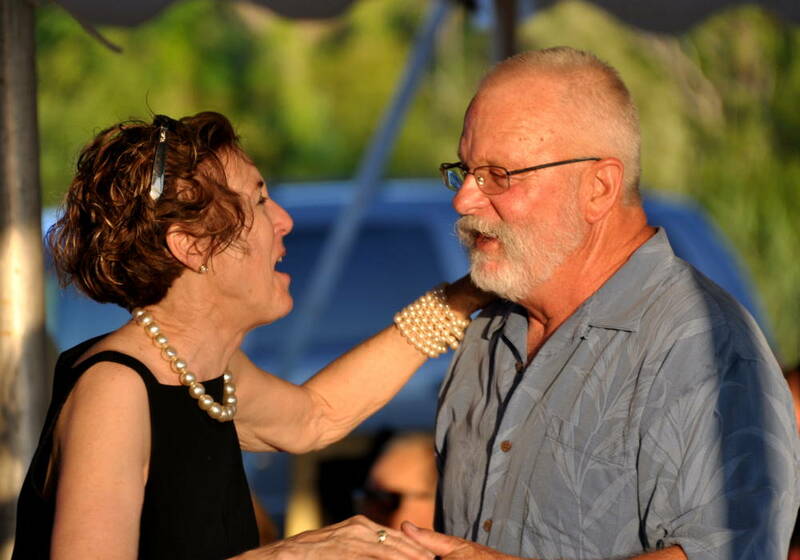 River Dunes, aided by a small army of volunteers, hosted the event Friday and Saturday night. 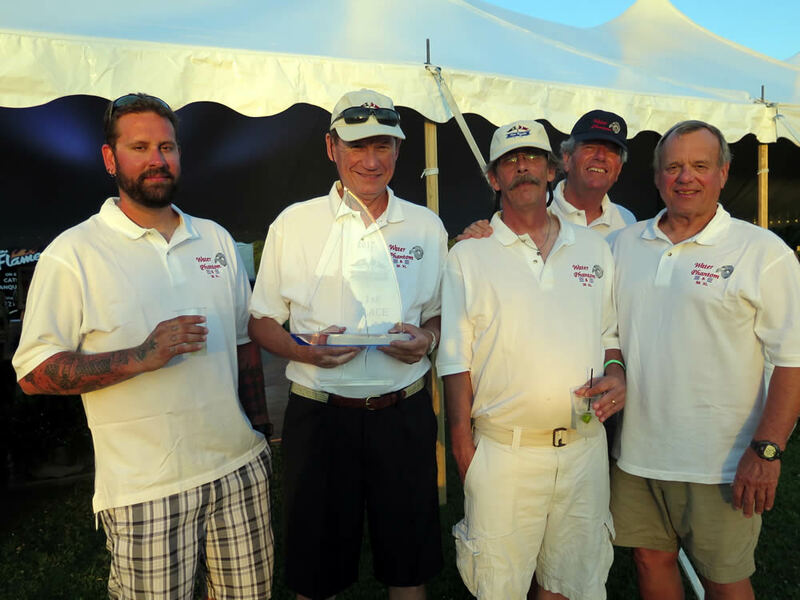 By the end of the weekend, all told, the Hope Regatta and Gala took in over $104,000 for Hope Clinic. 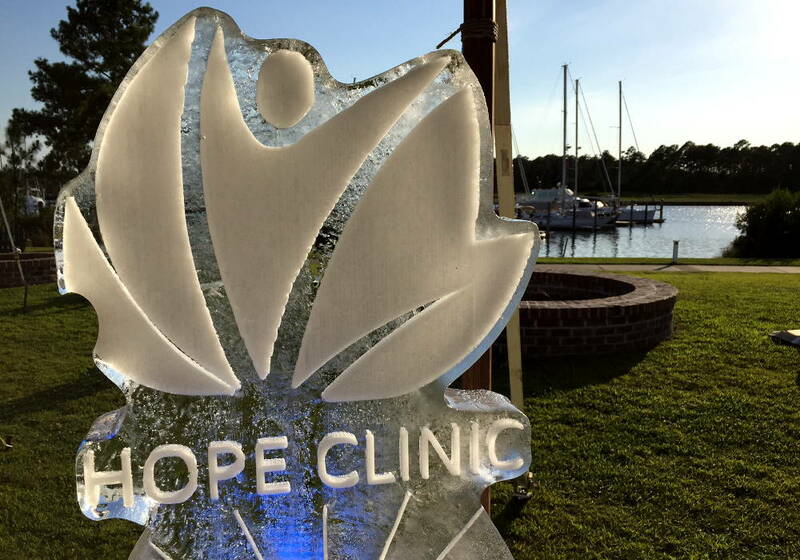 The Hope Clinic ice sculpture at Grace Harbor. Volunteers from Reelsboro United Methodist Church helped serve dinner to 150 guests on Friday night. The BBQ dinner also saw the gifting of a commemorative garden stone to Carol and Ken Small for their continued work with the nonprofit. The trophies for potential regatta winners were on display as was a map showing the intended race course. Harbor Sounds provided the live soundtrack. Beautiful day for a pursuit race. 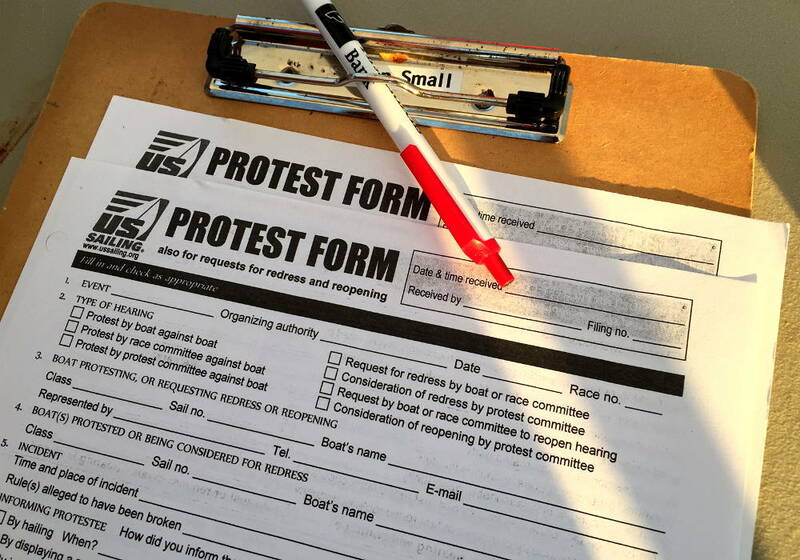 The official protest forms on Ken Small’s clipboard. No drama this time… none got used. 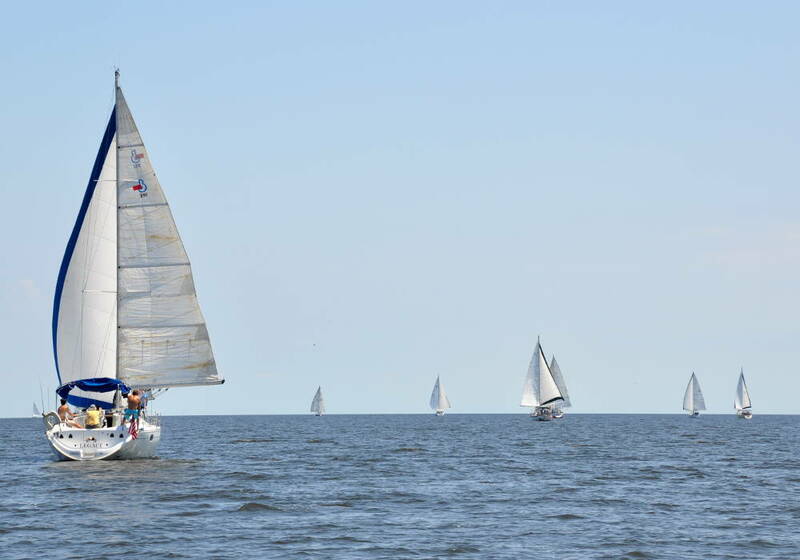 The Hope Regatta pursuit race took place in Pamlico Sound on Saturday. Ten boats entered and seven finished. By several accounts, it was a very close race at the end. Allan Reeves, crewing for the first place Water Phantom said, “It was the best race in 30 years of racing.” Mark Baldridge, owner of second place vessel The Edge said the end of the race was determined by a lead of only seconds between the top three contenders. Times for individual boats were not marked, but all agreed it was close. Scenes from a charitable pursuit. 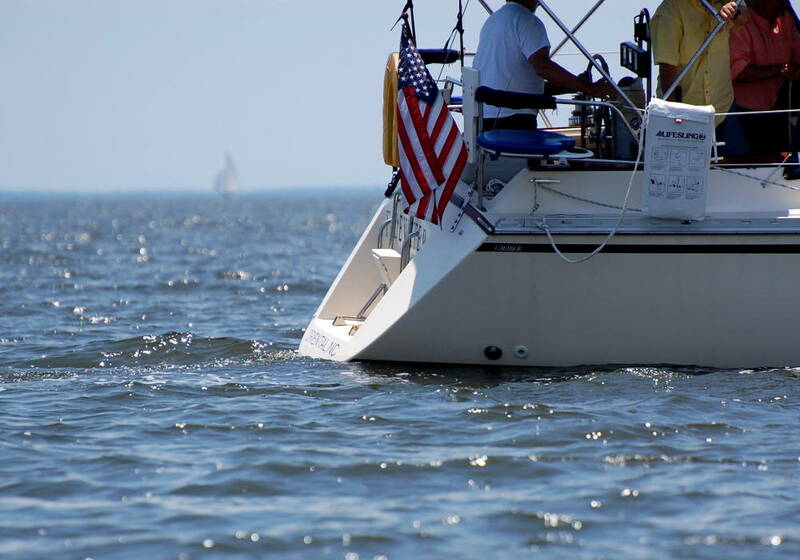 The crew of Water Phantom took first place in Saturday’s race. 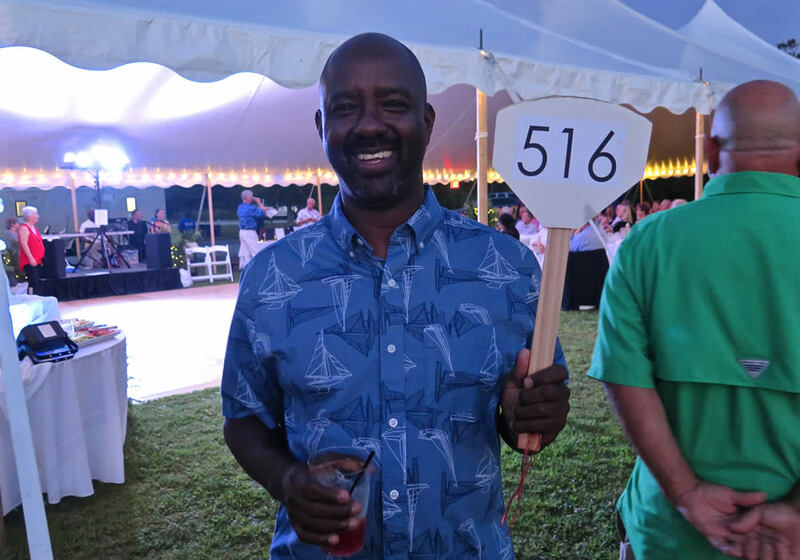 Nearly 240 gusts attended Saturday evening’s silent auction and the drawing of a winner for the $10,000 raffle. The Flame catered the dinner portion of the evening. Attendees had the option of bidding on several items including: a week in the Outer Banks (travel to and from not included), a week at Rickety Bridge Winery in South Africa (travel to and from definitely not included), a handmade Adirondack chair, and other donations from sponsors and the community. Catching up on the dance floor. Tony Nelson demonstrating his bidding style, winning the Captain’s Course. Soon, he will become Captain Nelson. He will not be renaming himself Horatio. The night was deemed a success by both attendees and the Hope Clinic. Sheri Rettew, Executive Director of the Hope Clinic, says they hope to continue the Regatta and Gala weekend next year with an eye to making it a bigger event. 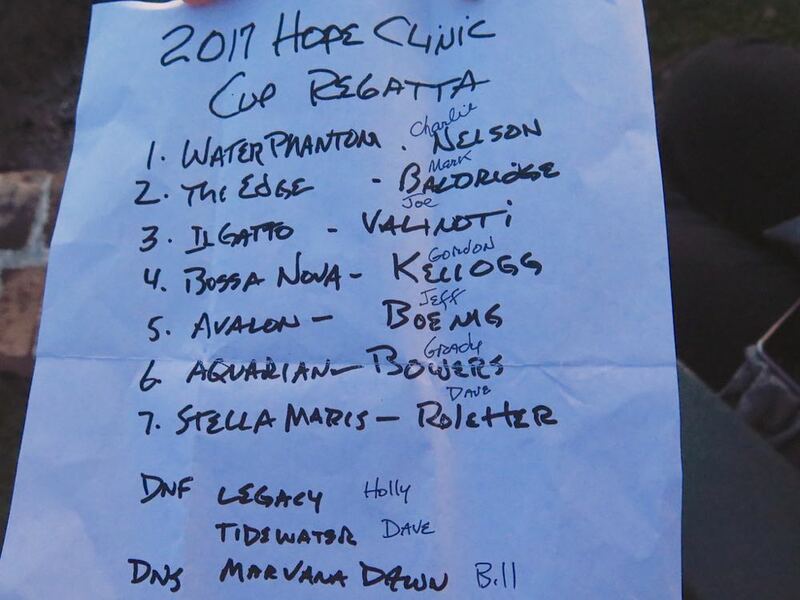 Until then, Hope Clinic will continue to be involved in other fundraising events like the 2017 Dinghy Poker Run, put on by the Neuse Sailing Association. That event will be on July 22nd and proceeds will directly benefit the Hope Clinic. 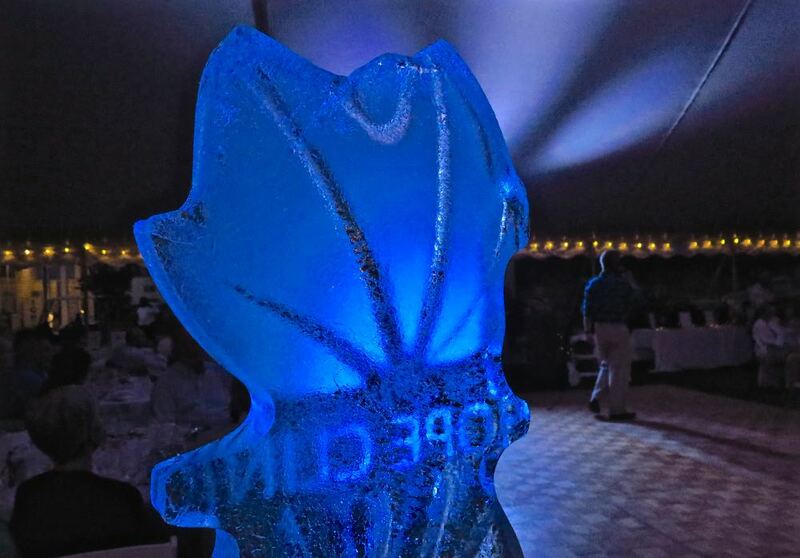 The Hope Clinic logo in ice.